Posted in: Uncategorized. Tagged: A + Event, backdrops, bento avatar, Bolson, Clef de Peau, DUFAUX, Hipster MEN's Event, HME, Junk Food, L'Etre, L'Etre Skin Shop, Modulus, Mulloy, SECOND LIFE, SECOND LIFE AVATAR, Second Life Blogger, SECOND LIFE EVENT, SECOND LIFE EVENTS, SECOND LIFE FREE, SECOND LIFE FURNITURE, Second Life Photos, SHOEMINATI, The Bearded Guy. Posted in: Uncategorized. Tagged: Bad Unicorn, Fe Style, Hipster MEN's Event, HME, Kauna, Kustom9, L'Etre, L'Etre Skin Shop, SECOND LIFE, SECOND LIFE EVENT, SECOND LIFE EVENTS, Second Life Photos, SHEEN, SHEEN SET, [ zerkalo ], [BUC]. Posted in: Uncategorized. Tagged: *AGATA*, bento avatar, BLOGGER, Blogger Second Life, CODEX, Fe Style, Hipster MEN's Event, HME, L'Etre, L'Etre Skin Shop, MALE BLOGGER, Man Cave, MESH BLOGGER, No.MINAL, SECOND LIFE, SECOND LIFE AVATAR, SECOND LIFE EVENTS, SECOND LIFE MEN, Second Life Photos, The Darkness Monthly Event. Posted in: Uncategorized. Tagged: 2REAL, Bad Unicorn, BENJAMINZ, bento avatar, BLOGGER, Blogger Second Life, DUFAUX, Fe Style, Hipster MEN's Event, HME, lock&tuft, MALE BLOGGER, MEN ONLY MO, Men Only Monthly, Men Only Monthly SL, MESH BACKDROPS, MESH BLOGGER, MESH FURNITURE, NOIR, O.M.E.N, SECOND LIFE, SECOND LIFE AVATAR, Second Life Blogger, SECOND LIFE EVENTS, SECOND LIFE HAIR, Second Life Photos, SL Blogger, [BUC]. Posted in: Uncategorized. 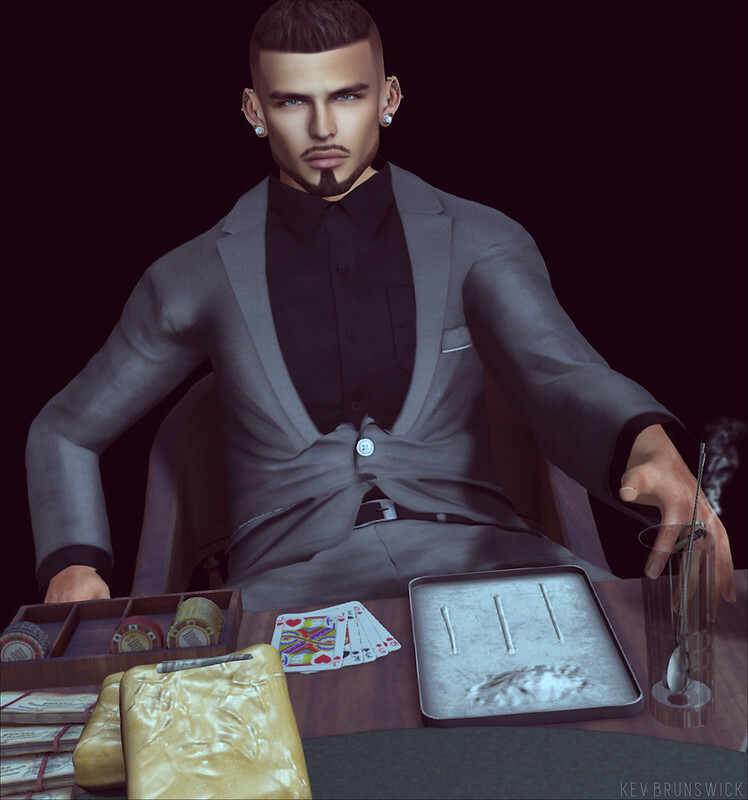 Tagged: ARCADE GACHA, arcade gacha september 2017, ARCADE GACHA SL, AVATAR, AVATAR MESH, AVATAR SECOND LIFE, AVATAR SL GAME, Avi-Glam, BLOGGER, Blogger Second Life, Bolson, C L A Vv., CDC CREATION'S, Genesis Lab., Hipster MEN's Event, HME, HXNOR, MALE BLOGGER, Male Blogger SL, Men SL blogger, MESH AVATAR, MESH BLOGGER, MESH SL BLOGGERS, PARKER, SECOND LIFE, SECOND LIFE AVATAR, Second Life Blogger, SECOND LIFE EVENTS, Second Life Photos, Shiny Shabby, sl avatar, SL Blogger, uber, [INK]. Posted in: Uncategorized. Tagged: -David Heather-, A:B, AMERICAN BAZAAR, Animosity, AVATAR, AVATAR MESH, avatar poses, AVATAR SECOND LIFE, AVATAR SL GAME, Bad Unicorn, BLOGGER, Blogger Second Life, Bolson, DOUX, Hipster MEN's Event, HME, L'Etre, L'Etre Skin Shop, male avatar, MALE BLOGGER, Man Cave, MESH AVATAR, SECOND LIFE, second life animations, SECOND LIFE AVATAR, Second Life Blogger, Second Life Bloggers, SECOND LIFE EVENTS, SECOND LIFE FURNITURE, Second Life Mesh, Second Life Photos, SECOND LIFE POSES, Second Life Tattoos, SHOEMINATI, sl avatar, SL Blogger, sl male avatar, Stockholm, Stockholm&Lima, Tres Chic, uK, [BUC]. Hair: DOUX – Fade hairstyle | TresChic! Posted in: Uncategorized. Tagged: *Chronokit*, *YS&YS*, :HAIKEI:, ARCADE GACHA, arcade gacha september 2017, ARCADE GACHA SL, AVATAR SL GAME, BIGBULLY, FATEstep, Fe Style, Hipster MEN's Event, HME, JIAN, kunst, male avatar, Men Only Monthly, Men Only Monthly SL, MESH AVATAR, MESH FURNITURE, mesh furniture second life, MOM, rebellion, Sari-Sari, SECOND LIFE, SECOND LIFE AVATAR, SECOND LIFE EVENT, SECOND LIFE EVENTS, SECOND LIFE FURNITURE, second life gacha events, SECOND LIFE MEN, SECOND LIFE MENS, Second Life Photos, sl avatar, sl male avatar, SL MOM, Stealthic, STRAY DOG, tarte., [-BLUE SKY-], [Gild].